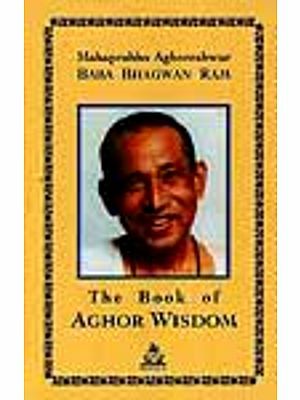 This book Mysteries of the Aghor Master is the first in a series of three that illustrate Aghoreshwar Mahaprabhu Baba Bhagwan Ram (Sarkar Baba) Ji's teachings on the nature and subtleties of the Aghor tradition. It describes the nature of the life-force (Pranai, the state of deep absorption (unmuni avastha), the essential virtues and comportment of seekers on the path of Yoga, and the importance of the cremation ground in Aghor practices. It throws light simultaneously on Sarkar Baba's prescient views about the intricacies of Indian social, political and religious life, as well as his acute understanding of the rural Indian culture. The complex matters that Sarkar Baba prognosticated in his original book all seem to have come true in the India of today which, although a markedly changed nation from the 1980s, still retains many of the old complexities that drive its destiny today. The author Akinchan Ram is a disciple of Sarkar Baba. Currently he lives in Austin, Texas, U.S.A. where he teaches at the university and translates Sarkar Baba's books. 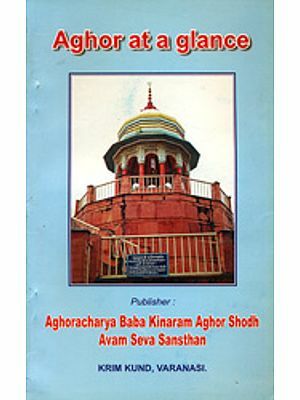 This book is a translation of Aghoreshwar Mahaprabhu Baba Bhagwan Ram Ji's book 'Aghor Guru Guh' from Hindi into English. In the year 1982 Baba had a series of conversations with two of his disciples, Darshi and Sambhav. What Baba said to them at the time, later became a book. The names of the disciples were given to them by Baba, and these two names are significant. 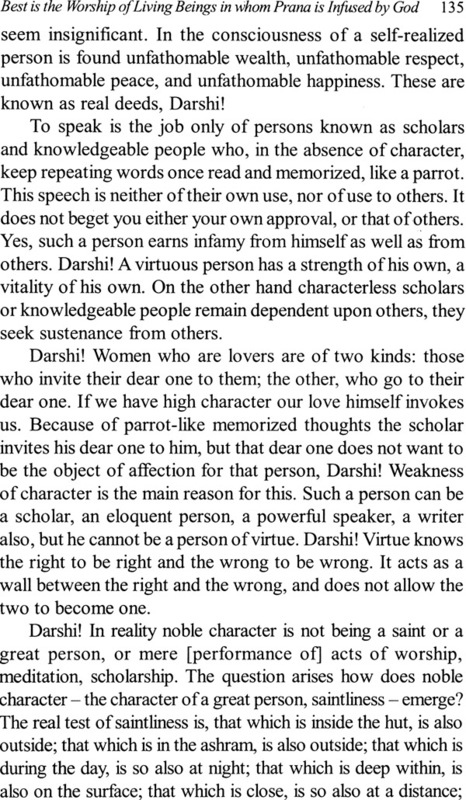 The word Darshi means, one who sees, or, one who has a clear vision to see with, as also, one who is a witness. The word Sambhav means, possible, or, possibility. The significance of the names lie in that they could apply not only to these two particular disciples of Baba's, but to any seeker on the spiritual path who wants to delve into the mysteries and knowledge of life and living beings. The style of conversation in the book is somewhat formal. That is because in a Guru-disciple relationship in India, the Guru is always respected by the disciple. The disciple, in the absence of any other worthwhile gift to offer at the feet of his Guru who has transcended all desires and attachments, can find only his devotion and respect to take to him. These are two things that at once make him focused on his Guru. That focus, or attention, then becomes a special mode of communication where, what the Guru says the disciple remembers, ponders upon, and if it appeals to his conscience, moulds it in his life and behavior. As Baba used to say, "A true Guru makes gurus, not disciples", and that, "the only difference between a Guru and a disciple is that the Guru learns a little earlier, and the disciple, a little later". The language that expresses spiritual ideas in India is very developed and elaborate. There exist numerous terms and nuances to describe various concepts of the life-force (Prana), the life-breath (Prana-vayu), the soul (Alma), the heart-mind-consciousness complex (Man), desires (ichha, vasana, titiksha), renunciation (tyag) and so on, which makes their translation into English somewhat difficult. Add to that the formal nature of the conversation between the guru and the disciple, and the translation begins to sound rather stiff. I am aware of this shortcoming in translating Baba's book, and take full responsibility for errors of omission or commission that I may have made in interpreting various ideas. Thematically Baba's book is divided into three main sections. The first section deals with concepts, ideas and practices that a new seeker on the path of self-realization must understand and become proficient in. 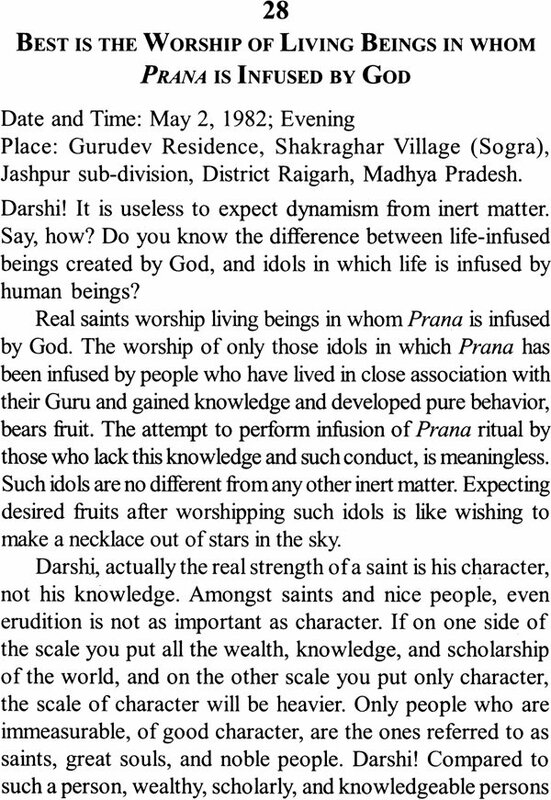 This section is especially important for those who have questions about the nature and object of worship, the way of life of a spiritual seeker, and the discipline of yoga in the spiritual quest. The second section is a collection of Baba's remembered conversations with Chethariya Vir Baba, his Old grandmother, the conversation with an Afghani seeker, the characteristic traits of aughars, and the importance of cleanliness, both internal and external, in life. Here too, although Baba has mentioned Chethariya Vir Baba and his Old grandmother in very human terms, a careful reading of the text indicates their extra-physical origin and existence. The third section is a compilation of Baba's analysis of the then current social and political situation in India, and how it could be improved. Since Baba has spoken only with reference to the situation in India, this section is markedly India specific, but his love of humanity and his social and national concerns become clearly evident by a reading of this section. The reader will also notice that the chapters do not follow chronology of the dates. The chapters, in fact, seem to be organized by subject matter which seem to progress sequentially in little steps towards a familiarization with Aghor wisdom. I had started work on this translation in 1990, but several life-changing circumstances, the most important of which was Baba's relinquishing his mortal frame in 1992, delayed its completion till now. Over the years I have been helped by many people in overt or covert ways, people who have wanted this book to reach a larger audience. I will be remiss in my duty if I do not mention some of those names here. Harihar Ram Ji Baba's disciple who started the U.S.A branch of Shri Sarveshwari Samooh Sonoma Yoga ashram in California has always encouraged me in translating Baba's books, and with this book too, his encouragement and help has been very important in its completion. My heartfelt thanks are due to Nozorni Williams for being an unfailing source of support and help through all the ups and downs of my life. Mary Farnsworth at Hendricks Chapel, Syracuse University, read through parts of the manuscript despite her pressing duties at the Chapel and provided critical insight into presentation of complex spiritual ideas. I am indebted to Terril Gosa, the then webmaster at the Department of Athletics, Syracuse University, without whose inquisitive questions and insightful comments this translation would never have reached the form it is in today. Pankaj Kumar, a genius in parallel computing and a seeker in his own right, went over every word in the manuscript with a fine toothcomb, shedding new light on words, phrases, sentences and concepts that I had thought had just one meaning. I need to extend my sincere gratitude to Christopher N Burchett at Pilgrims Publishing who edited every page, paragraph, sentence and word painstakingly to make this book accessible to the readers. There are many other people, far too numerous to list, to whom I extend my heartfelt thanks, and hope this book lives up to their expectations. 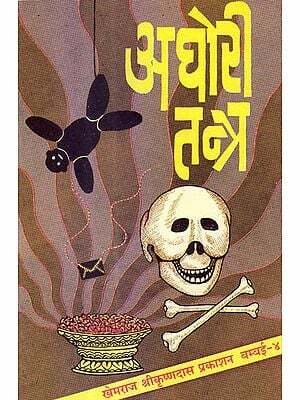 This book is a translation of Aghoreshwar Mahaprabhu Baba Bhagawan Ram Ji's (henceforth Sarkar Baba) book, "Aghor Guru Guh" first published in 1982, which I have translated into English as "Mysteries of the Aghor Master". I am very fortunate to have received an opportunity to spend time in Sarkar Baba's close company. He made me realize what is the life and nature of a true ascetic, a true saint. Sarkar Baba loved human beings. In fact, he loved all living beings. He loved them, but not in a possessive manner, to claim them as his own and to make them serve his needs, as human beings often have a tendency to do. No, Sarkar Baba loved beings in a deeply caring manner taking on the role of a mother, a friend, a guide, a preceptor, a social worker, a social reformer as the situation called for, always seeking to satisfy their hunger, to douse their fires of desires, to make them progress on the path to self-betterment, to make them able to take care of themselves. In this task he was usually very soft and gentle, but he could as well be incisive and candid if that was what was needed. It was because Sarkar Baba loved human beings that he also cared about the human society. He labored for them day and night without rest and without care for his personal well-being, to educate human beings not only to better themselves, but also to work towards caring for others, working against social evils, so they could make their society better. When he would take on the role of a mother, no sooner would he see a hungry person that he would become all-focused on feeding them. As a friend, he would talk and joke with all categories of persons patiently listening to their preoccupations about family, children, home, job, money, health and everything else imaginable. He would answer back in their own colloquial language, as an ordinary human being. He would impart advice and suggestions sometimes directly, and sometimes with humorous tongue-in-cheek expressions which could be simultaneously hilarious as well as illuminating. These statements made the best sense if one understood their right context. As a preceptor, a guru, he would narrate from his own life experiences, use stories, parables as well as social critique to shake his disciples and devotees out of their sense of complacency and to have them make an effort. A saint who had achieved all siddhis, all supernatural powers, he did not need or want anything for himself He lived fearlessly for others, he worked tirelessly for others, he spoke incisively for others. In doing so when he did not mince his words, or when he tried to highlight a social evil without attacking anyone personally, his words could be construed as criticism if one did not know that he never criticized anyone or anything without a very good reason. I know his intent was never to offend anyone, it was always to right a wrong that he saw happening before his eyes. This book should be read with this view in mind. A true saint does not criticize anyone, and if they have to, it is for the betterment of the other. Those who read this book may come across such statements. My humble request to them will be to put these statements in the right perspective, and to assess their own social, political, religious situation holistically, to arrive at their own conclusions. The Hindi book "Aghor Guru Guh" begins in a traditional manner with the first few pages devoted to an expression of thanks to those who contributed towards its publication, and a brief sketch of Sarkar Baba's life which includes his horoscope (not included in this translation). The horoscope presents his personality as full of great and uncommon virtue. The Hindi text mentions that Sarkar Baba had been a person of rare spiritual talents right from his childhood. He had become detached from worldly life at the young age of seven years. He roamed on the banks of the rivers Sonabhadra and the Ganges, and in the forests of the Vindhyachal mountains after his initiation in the Aghor tradition at the Kinaram Sthal in Varanasi. In all these places he practiced his ascetic penance. These places included the cremation grounds situated on the banks of the river Ganges. Having achieved his spiritual goal of attaining enlightenment through his ascetic practices Sarkar Baba returned to society in 1961. On the 21 st of September he established the social service society called Shri Sarveshvari Samooh in Banaras with the goal of helping the neglected, the overlooked and the helpless sections of society. He also established a leprosy hospital and a system of marriage without the transaction of dowry. To fulfil these goals of social service he established many ashrams in different parts of the country. The Hindi text records that Sarkar Baba travelled to Afghanistan, Iran, Nepal, Bhutan, USA, Mexico and other countries in pursuit of his goals of social service, when his devotees in these countries invited him. Although Sarkar Baba relinquished his mortal frame in 1992, his ashrams continue to carry on his efforts. Speaking generally, most contemporary books on the subject of Aghor present a sensationalized portrayal of their practices and lifestyle. In this book there is but one chapter (chapter 9) which describes an episode of worship in the cremation ground, but presents it with the dignity that such practice holds for Aughars. Although the description presented in this chapter might seem surreal, such experiences are a part and parcel of the Aghor experience. I think it necessary to discuss two personalities mentioned in the book by Sarkar Baba: ChethariyaVir Baba (chapter 12 and 13) and the Old Grandmother (chapters 13-17). Sarkar Baba presents these two in a very human form, but as we read further discussions with and of them we begin to realize that these figures might not be very human at all. Sarkar Baba meets Chethariya VIr Baba in the mountains west of Shakraghar Gram. The name Chethariya Vir Baba seems symbolic in so far as it seems to imply a resolute saint in rags. But he was a saint with great dignity and knowledge. He assures Sarkar Baba that he will always remain with him like a shadow, and will fulfill all his desires instantly. On receiving this assurance Sarkar Baba feels fulfilled and experiences an indescribable sense of peace and coolness. He throws more light on Chethariya Vir Baba by describing what he does, "He restores his rag all night long and when it becomes day he picks apart its threads and scatters them" This is indeed an enigmatic statement and Sarkar Baba clarifies it further, ''From evening to morning he fixes all the old and ripped that has happened in life ... During the day he opens and straightens the threads of the bonds that tie living beings. Darshi! He does not do this through orders or sermons but by demonstrating it in practice... by pointing towards liberation." Such a description certainly does not seem like the description of a human being. The mysterious personality and mysterious deeds of Chethariya Vir Baba seem to be symbolic descriptions of what God does - to fix all that has happened in life - and to point towards liberation by cutting one's bonds. This line of thinking is strengthened further when Sarkar Baba points out that some people refer to Chethariya Vir Baba as Dinabandhu, Dinadayalu etc., which are common Hindi names for addressing God, but that one cannot limit Chethariya Vir Baba's personality within the limited confines of these words. The second personality introduced in chapter 13, the 90 year old grandmother, seems more human, but in my mind, only symbolically. This is because Sarkar Baba says, "I had seen Aji putting to bed on her old, soft rag the little children who are the future of the nation." This may sound like an innocuous, even obscure statement, but then Sarkar Baba asks the old grandmother why does she not put these children on new beds since cotton and the spinning wheel are available at home? The old grandmother laughs and says, "Are you going to change my habits in my old age? Despite the 90 years of my life, despite my senses having gone tired, that Pranamayi-mother is still within me. Are you not a recipient of my grace? You should try to find out how I have achieved this old age without obstacles. Only the serving of one's own Self can be a service to others." To me there seem to be symbolic allusions in this passage too. Old grandmother could, of course, be an old grandmother. But the tenor of the passage seems to indicate she is "Mother India" being talked about in a symbolic way. And yet, the last line of her statement - one's own service is the service to others - is a spiritual tenet, of knowing one's own Self, and that seems to indicate that the old grandmother is a Yogini! 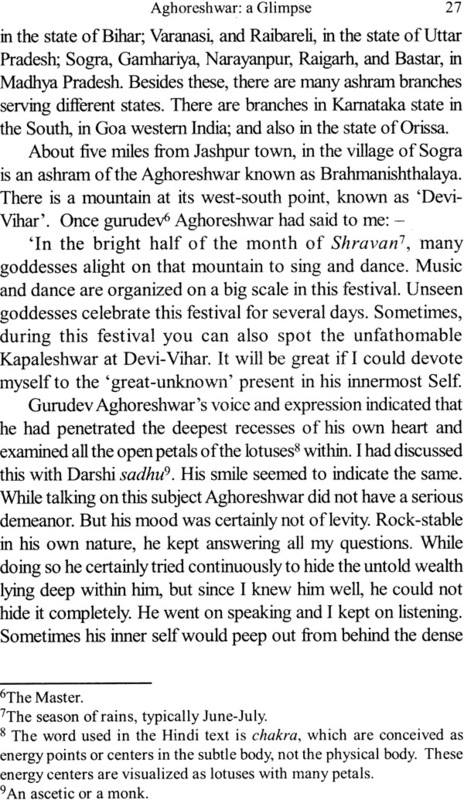 In the very first chapter "Aghoreshwar - A Glimpse" we hear three voices. 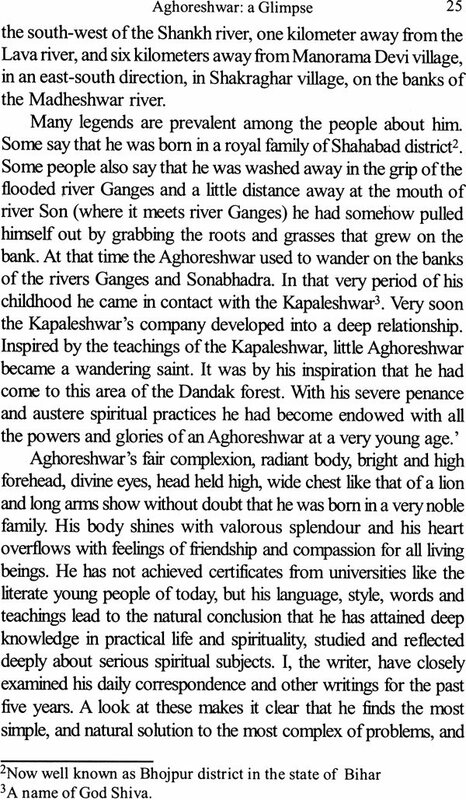 The first one is that of a devotee, the writer, who expresses his amazement at the social acts of the Aghoreshwar - how he comports himself with gentility, compassion and empathy for all, how his daily letters and communication reflect deep appreciation of content, emotion as well as language despite the fact that the Aghoreshwar had not gone through formal schooling, and how he had an uncanny ability to find the simplest and most natural solutions to the most complex problems. 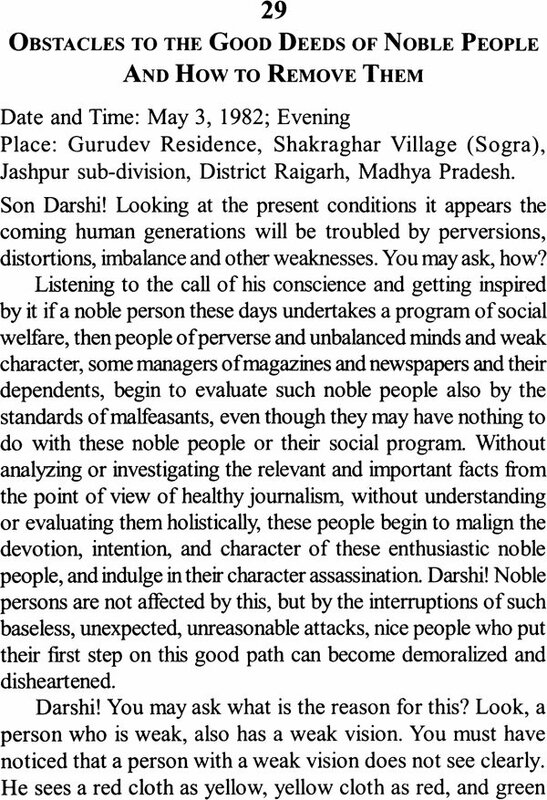 The second voice is that of the initiated disciple Darshi who, when he talks about the Aghoreshwar, displays a natural sense of devotion and awe owing to Sarkar Baba's attractive and charming personality, his mysticism and austere penance, and his supernatural powers. This is evident, for example, when he speaks about the arrival of Devis and Kapaleshwar on the mountain of Jashpur in the Hindu month of Shravan (July-August ). 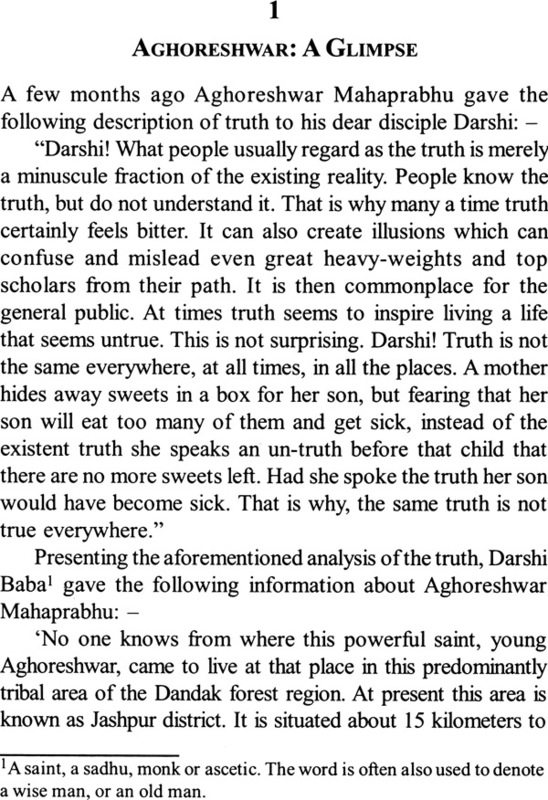 The third voice is that of the Aghoreshwar himself who speaks with full confidence and knowledge about the reality of things, the nature of truth, the most vital aspects of life, and the access to hidden knowledge and perceptions one can gain through the medium of penance and ascetic practices, as one who has explored all these facets of life and has experienced them all firsthand. While talking about this esoteric perception he acknowledges, "If I begin to describe these hidden mysteries in detail you might lose your mind and take me to be wrong." The author of the original Hindi text concurs, ''the secret gnosis of penance (sadhana) is not for the naive crowds." The astute reader of this book will get a feeling of undefined mystery underlying the certainties evident in the concreteness of social life, and yet, that these mysteries form the foundation of life and are accessible to those who try, and those who give up the attractions of a social life. The voices mentioned here present a nice format of formal Guru-disciple conversation where a dedicated practitioner can really benefit to improve their own spiritual life. 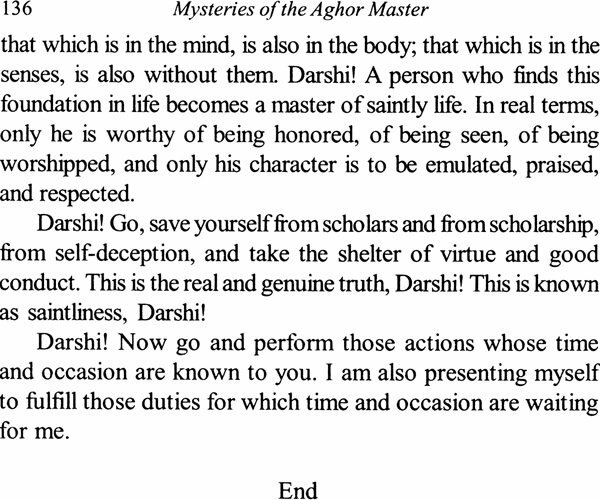 To that end, I dedicate this translation of the book "Aghor Guru Guh".